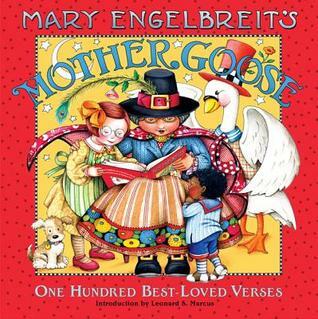 From the warm and colorful imagination of Mary Engelbreit comes a Mother Goose book bursting with warmth and humor. This highly illustrated hardcover treasury includes everyone's favorite time-honored characters--Little Bo-Peep, Humpty Dumpty, Old King Cole, Jack and Jill, and many, many more. Readers will enjoy Mary Engelbreit's interpretations of the mouse running up the clock, piggies going to market, and children dancing 'round the mulberry bush. With one hundred rhymes in all, all lavishly illustrated in Mary Engelbreit's signature style, this collection of time-honored verses is truly a book to treasure. Makes an excellent gift for baby showers, new parents, and other special occasions! - An index of first lines--easy to track down your favorite rhyme! I think I had some Mother Goose collections growing up, but I can't remember any specifically. If this one had been around when I was little, I probably would've been able to remember it. The pictures alone make it well worth a look. There are a lot of poems in this book (which, at over 100 pages, is kind of long for a bedtime read; it's the sort of thing you'll need to pick and choose with if you're reading it to kids). I hadn't heard of quite a few of these poems. The most popular ones are all here, including some with rather graphic imagery (but, thankfully, this doesn't extend to the illustrations; I don't want to see blackbirds peck off someone's nose)! 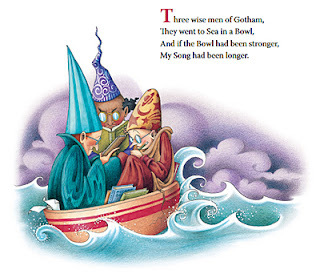 Some of the poems are completely nonsensical, but most of them have a nice rhythm, making them fun to read out loud. Mary Engelbreit's lovely whimsical style is on full display here. She even manages to make Little Miss Muffet's spider friend look friendly. I really enjoyed looking at the illustrations. Some of them even managed to tie together thematically similar poems. Overall, this is a strong Mother Goose collection. While it might not be something you'd want to sit down and read all in one sitting, it would be a nice book to pick up and flip through when you have a few moments. Review - Go, Dog. Go! Review - Give Me Back My Book! 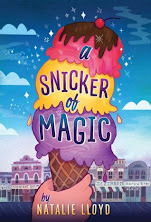 Review - Fancy Nancy: Just My Luck! Review - Can Somebody Please Scratch My Back? Review - What Does It Mean to Be American? Review - I Love You Already! Review - The Dinosaur That Pooped the Bed!